Macaroni and cheese is the comfort food everyone loves anytime of the year and especially during the Holidays! This is a very simple, yet rich and delicious macaroni and cheese recipe that only takes about 20 minutes to prepare and will feed a crowd! Cook the macaroni in boiling salted water for 8 minutes. Drain and toss with 2 TBS of the butter. In a large pan over medium heat melt 2 TBS. Then add flour and still until all of the butter is absorbed. Cook the flour and butter for 2-3 minutes stirring constantly. Slowly whisk in cold milk. Add salt, pepper and mustard. Continue to cook until slightly thickened 3-4 minutes. Add 2 Cups of cheddar and 1/2 cup of Parmesan cheese. 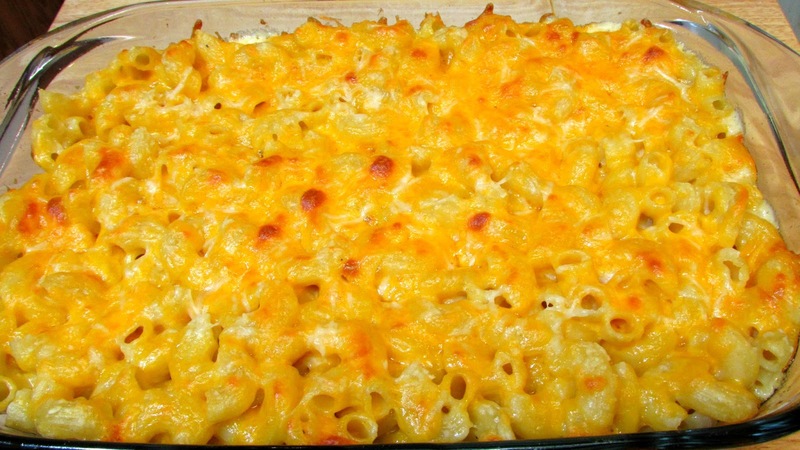 Combine macaroni into the cheese sauce and mix thoroughly. Pour into a greased 9 x 13 greased casserole dish. Bake in a pre-heated 350º oven for 25-30 minutes or until golden brown and bubbly. Let cook 10 minutes before serving. Thank you! Video will be live at 5 pm est. today!